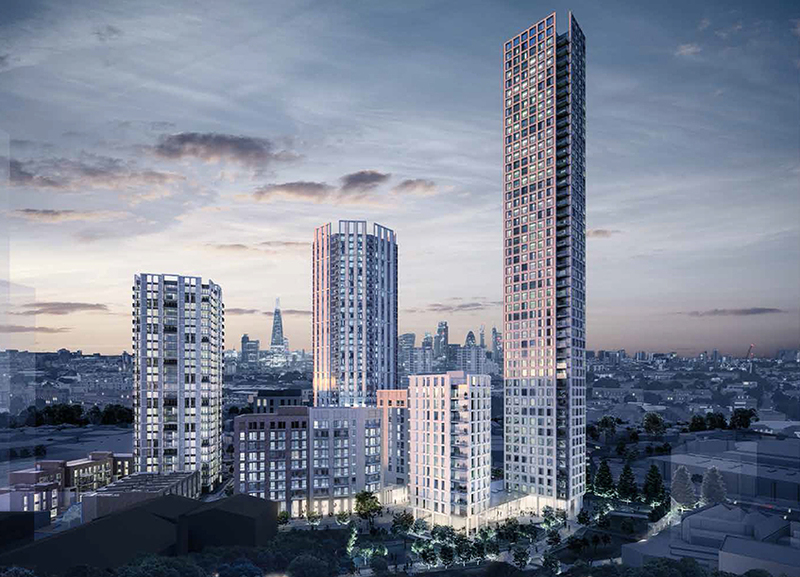 Southwark councillors have voted unanimously to approve Galliard and Aviva’s 48-storey tower at Cantium Retail Park on Old Kent Road, SE1. All eight councillors supported the plans at the committee meeting on 5 March, after it was recommended for approval last week. Development will see demolition of existing buildings and redevelopment of the site, with buildings from three to 48 storeys comprising 1,113 homes, 60,900 sq ft of offices and 24,000 sq ft of shops.